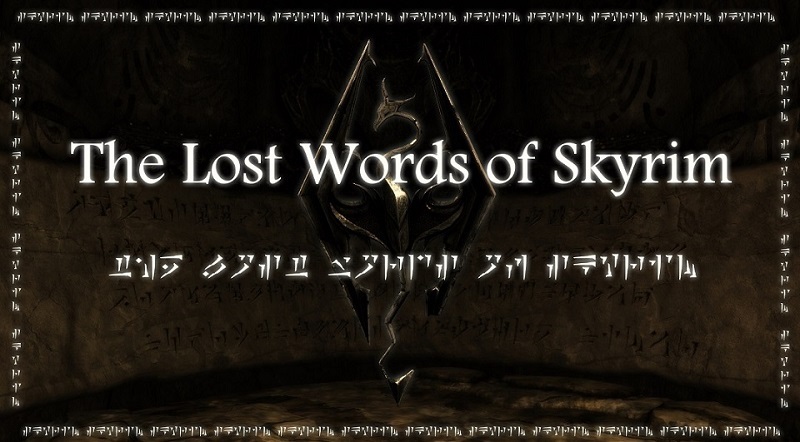 This mod gives players access to previously faction locked and quest locked Words of Power. Please do not upload the mod anywhere without my permission. No permission is needed for translations. For any other questions you can send me a PM. 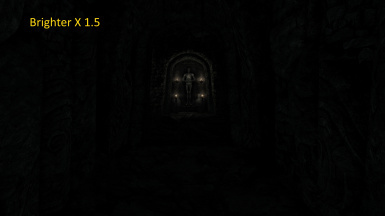 Added 2 brightness options: 1.5x brighter and 2x brighter. To Install extract the ESP you want and overwrite the Default ESP. The files are in the Optional Section. 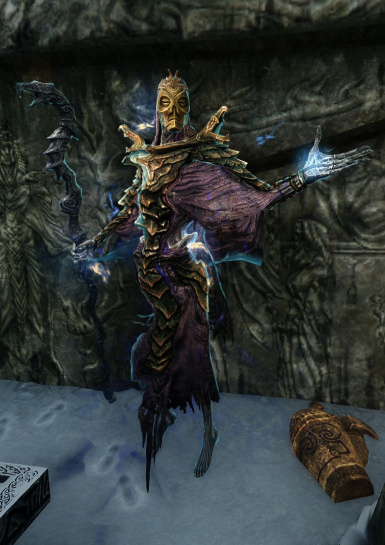 Fixes an issue where the Jagged Crown does not appear in the Civil War Quest after the player has entered the dungeon through the Hidden Passage. 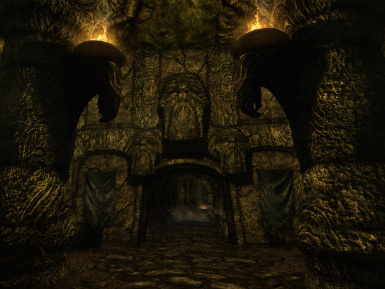 For the fix to work you download the new version, overwrite the all the files and reload a save before you have entered Korvanjund through the Secret Passage. Unfortunately this is the only way to prevent the Jagged Crown from disappearing if you decide to do the Civil War Quest later. Fixed some levers in the Skuldafn Area that could be accessed through the bars. Edited some of the NPC stats for more balance. 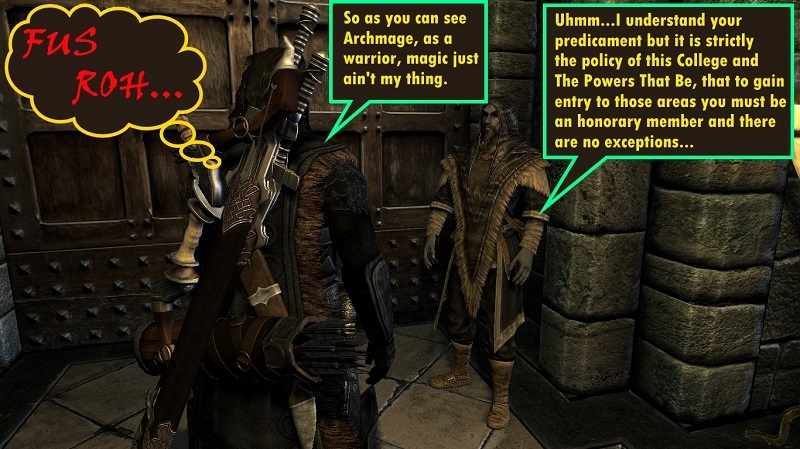 The image above best illustrates the dilemma we all face at some point in Skyrim. Your warrior play-through was going along well until you realized your favorite Shout is locked up in some mage quest. Your Bastion of Light 'good' character needs to become a criminal or your murderous assassin must join some goody two shoes guild just to gain access to a certain Shout. 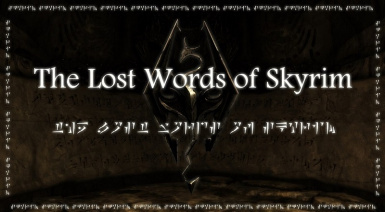 Heck, you need to complete a set of Words to unlock an awesome Shout from your favorite mod and realize that you have to play the main quests again. Really? Again? Well I say,' No more!'. 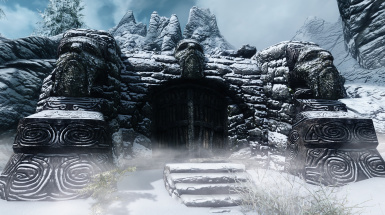 This mod now gives the player access to those areas which are Faction Locked or Quest Locked by adding secret passages that that leads directly to each chamber where the Shout is situated. Well by 'secret passage' I mean a mini dungeon filled with various traps and enemies etc. So in essence you can obtain the Word of Power in a more immersive way than say, using the console. The basic premise of the mod is to only give you access to the Word of Power located in the areas mentioned above so that you don't have to play an entire quest-line or join a faction just for a Word of Power. If you intend to play the quest then you will have to join the Faction or play the quest-line as normal or use a mod that allows you to bypass joining said Faction. 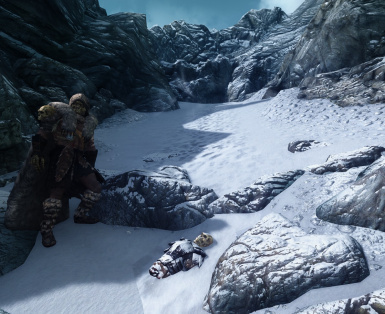 The mod only affects vanilla Skyrim. No DLC's are touched or required. 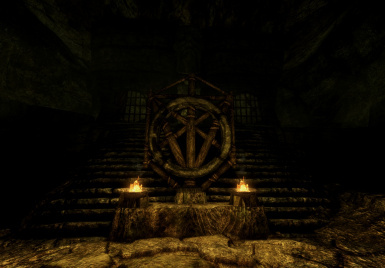 The mod assumes that you have played the dungeons before as it contains some spoilers in terms of the dungeons and their lore. 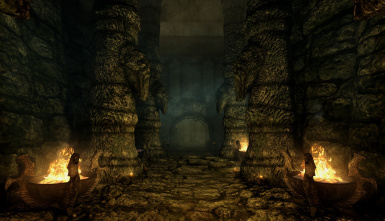 You have complete freedom to choose which dungeons to access as that part of the mod is quest free. 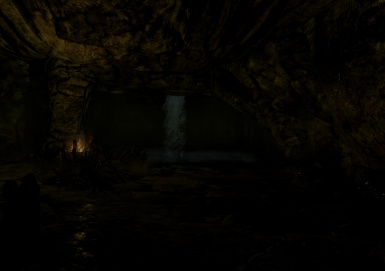 The dungeons are completely independent from the vanilla dungeons except for the area where the Shout is situated. I have not altered any quests and everything else is untouched. I have placed the doors and hatches as close to the Word Wall as possible so that the player will not activate any quest related triggers. This means you can do the quest later if you want. If you have a follower with you please let them wait while you retrieve the Word of Power. This will stop them from attacking any enemies you might find in the vanilla dungeon. When you enter the vanilla dungeon get the Shout and leave the way you came. 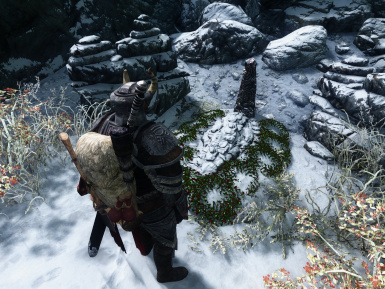 If you linger around you might get curious and trigger something that might break the quests if you decide to do the quest later in your play-through. 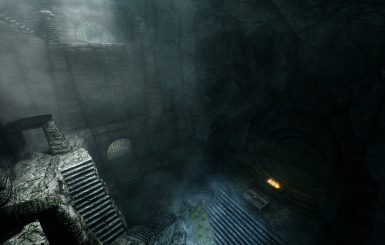 To gain access to the passages you will have to complete a small quest to retrieve a book called 'The Lost Words of Skyrim' and a special key for opening these areas. This book contains the various locations of the Shouts, a bit of history for each area and the general location of the secret passage. There are no quest markers so you will have to do a bit of reading and exploring. 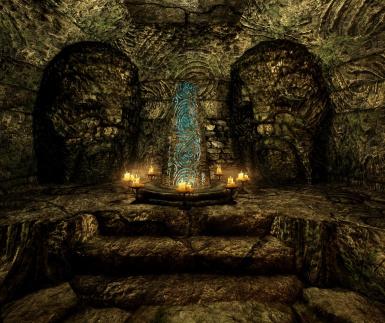 The quest will start by courier once the player has been formally welcomed as Dragonborn by the Greybeards(after Ustengrav). If you stumble upon the various areas you will not have access to them without the key. An Alternative Version is now available in the Optional Downloads Section which doesn't require the Ustengrav Quest to be done. Perfect for Non-Dragonborn playthroughs. You must however be Level 15 or Higher. Check my sticky post for more details. The mod was made to be as immersive as possible so I have used strictly vanilla enemies except for some of the bosses who are slightly more powerful and have extra abilities. All the leveled enemies range from medium to very hard and the mod was tested on a purely vanilla save. Ultimately the difficulty of the mod and enemies will be entirely dependent on the mods you have loaded. All the puzzles are tested and work fine. All the locations of the dungeons are easy to follow except for Skuldafn which may require some thinking. 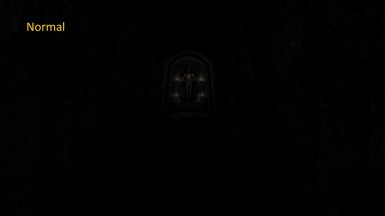 The dungeons are much darker than the Vanilla dungeons they are connected to. I have tested the lighting without any mods loaded and have tried to make my mod as independent as possible by creating custom lighting templates. 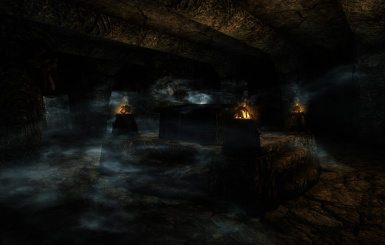 This does not mean that the dungeons will not be affected by the various lighting mods out there so carry some torches around if necessary. 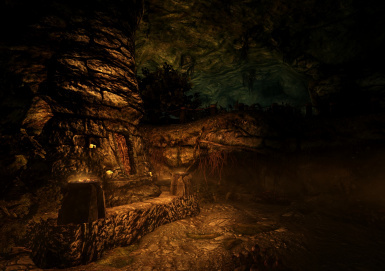 I make use of shadow casting lights so any mods that turn off shadows and shadow casting lights will definitely affect the overall look of the areas. You can check the images above. With the aid of an excerpt from an ancient Dragon Cult legend make your way to the Great Fane of the World Eater hidden deep within the Velothi Mountains. The Way is wrought with many dangers and powerful guardians who will stop at nothing to keep their secrets hidden. 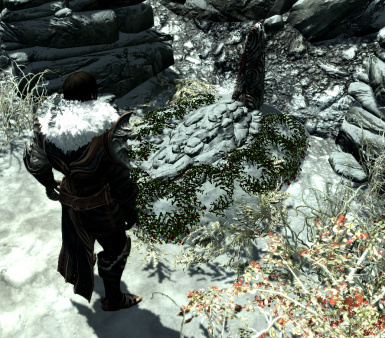 There are some surprises awaiting the player there and I highly recommend playing that part of the mod(at least once). Will there be a version without Skuldafn? Uh no. 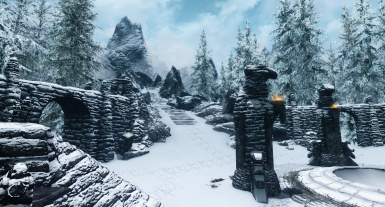 More than being just a mod that adds dungeons to Skyrim I consider this to be a mod that gives the player a bit more freedom in terms of your play-through. 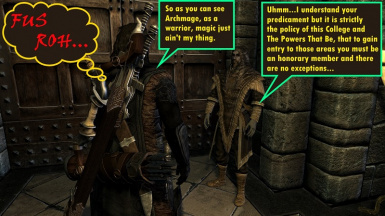 The mod will also be very useful for people who enjoy short play-throughs and who don't intend to do everything in the game as well as people who enjoy specific character builds. Install using your favorite mod utility. Uninstall the same way. To manually install extract the files from the zip file and place them in the Data folder. Make a clean save afterwards. Check the Changelog for fixes and issues. The mod should be compatible with everything as it adds its own content. 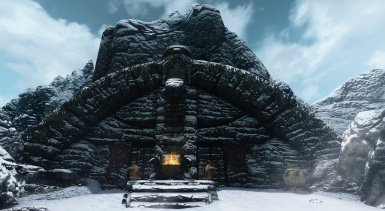 Only mods which alter the same exterior/interior areas will be incompatible with this mod. There are no major bugs but if you have any serious issues please mention them in the comments or PM me. Read the full description before commenting as I may have addressed the issue already. Once again thanks to Bethesda for Skyrim and the CK. Thanks to the modding community as a whole for your Tutorials and other resources. 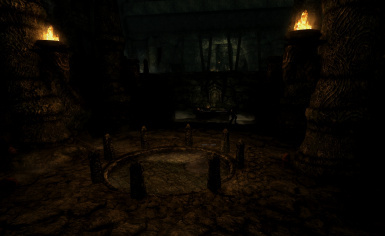 Thanks to UESPWiki for information regarding the lore of Skyrim. Thanks to Thu'um.org for information regarding the Dragon Language and tools. Thanks to DDProductions83 for helping me solve a LOD issue. Dynamic Distant Objects LOD - DynDOLOD by Sheson for generated LOD. 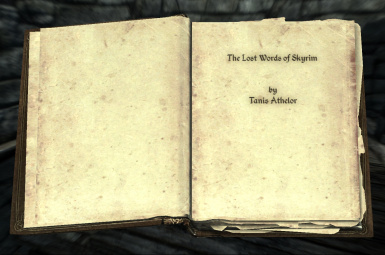 Unofficial Skyrim Legendary Edition Patch by Arthmoor and the USKP team for the Courier Quest fix. questions you can send me a PM.